Today, InFocus’s new Kangaroo Windows 10 portable PC goes on sale for $99. This newest portable PC is slightly larger than other Pocket PCs and PCs on a stick that we’ve seen recently, but at the size of a larger phone it still is quite portable and comes with a few extra convenient features. 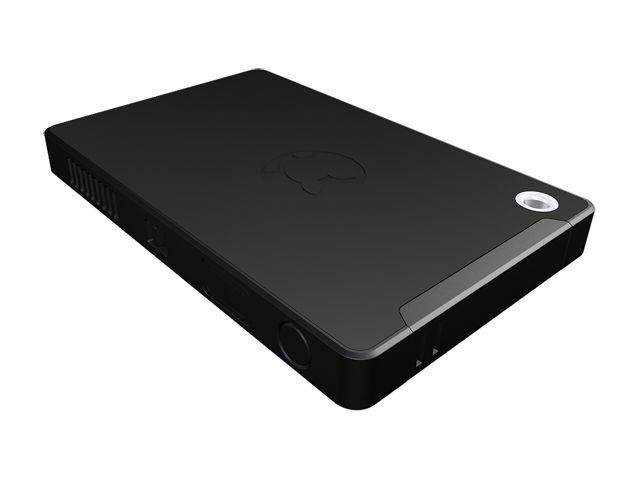 Like other portable PCs, the new Kangaroo works by being plugged into external power, a monitor, and mouse and keyboard like a desktop tower. But once you are done using the Kangroo, you can disconnect the 0.44 lb portable and slip it into your pocket or bag, and go. It comes running a full edition of Windows 10 Home, and packs an Intel Atom x5-Z8500 processor that is capable of boosting up to 2.2 GHz. It comes with 2 GB of memory and a 32 GB of eMMC storage drive that is expandable with a MicroSD card reader. While those specs are strikingly similar to smaller PC on a sticks, which can somewhat more conveniently plug into the back of a TV without a separate HDMI cord, the Kangaroo does come with a few unique features that set it apart. First, it has a Fingerprint reader built into the device, allowing for the owner to utilize Windows 10’s new biometric authentication feature, Windows Hello, to remove the hassle of passwords from logging in to your device and apps. The Kangaroo also comes with a faster 802.11A/C Dual Band WiFi enabled card, unlike the Asus VivoStick PC or the Intel Compute Stick. Both of these portable PC competitors come with slower 802.11 B, G, N wireless connections, which could be an important point of distinction for the Kangaroo as none of these portable PCs offer an Ethernet port. There is also one other feature of the Kangaroo which sets it apart as being a true mobile workstation. The Kangaroo works with a dock, so if you have multiple work spaces set up, say one in your office and one at home, you can conveniently carry it around and place it in the dock when you are ready to start working. The helps remove the burden of having to connect multiple wires each time you are sitting down at your desk trying to access your portable PC. Instead you just slip the pocket sized PC into the dock and you are ready to start working. The Kangaroo also comes with a battery, so if you remove it from the dock and plug it back in soon enough, the desktop will appear right where you left off without rebooting. Emil Protalinski of VentureBeat had the chance to test out and review the Kangaroo, and noted the convenience of being able to detach and reattach the Kangaroo to the dock without having to reboot as a result, thanks to the battery. The Kangaroo is available now on Newegg for $99 and will go on sale at the Microsoft Store later next month. Do you think InFocus's approach to the pocket PC is better than rival PC dongles?